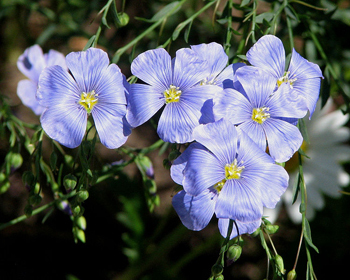 Another variety: Blue flax (Linum Lewisii) is known to the Shoshone Indians as “Poohi natesua.” This plant’s root was steeped for eye medicine. 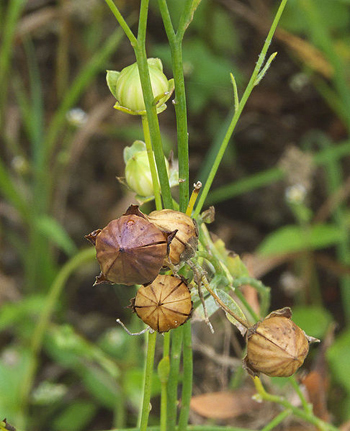 The Paiute Indians called it “Alai natesua” and the whole stem was steeped and used for disorders of the stomach and gas. Linseed oil deteriorates rapidly, prepare fresh often. DO NOT take artist’s linseed oil internally. LiveStrong.com: What Does Flax Oil Do for a Diet? 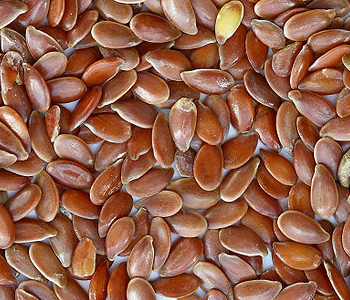 LiveStrong.com: Does Flaxseed Oil Reduce Cholesterol? PubMed.gov: Flaxseed reduces total and LDL cholesterol in Native American postmenopausal women. PubMed.gov: Experimental and clinical research findings on the cardiovascular benefits of flaxseed. PubMed.gov: Flaxseed extract lowers cholesterol and glucose in hypercholesterolaemic subjects. The Yoga of Herbs , by Dr. David Frawley & Dr. Vasant Lad, Lotus Press, Twin Lakes, Wisconsin, Second edition, 1988.